“I had taken LSD and put on Henryk Szeryng’s recording of Bach’s unaccompanied sonatas and partitas for violin. I got out the score to follow along. The result was that the notation seemed animated, as if it were dancing along with itself. The graceful shapes of the notes and the gestures of the music became a single thing. The progression from note to note seemed like footsteps. The next thing I remember is the chaconne from the D Minor Sonata. This movement starts slowly, but as it proceeds through the variations, the notes go faster and faster. 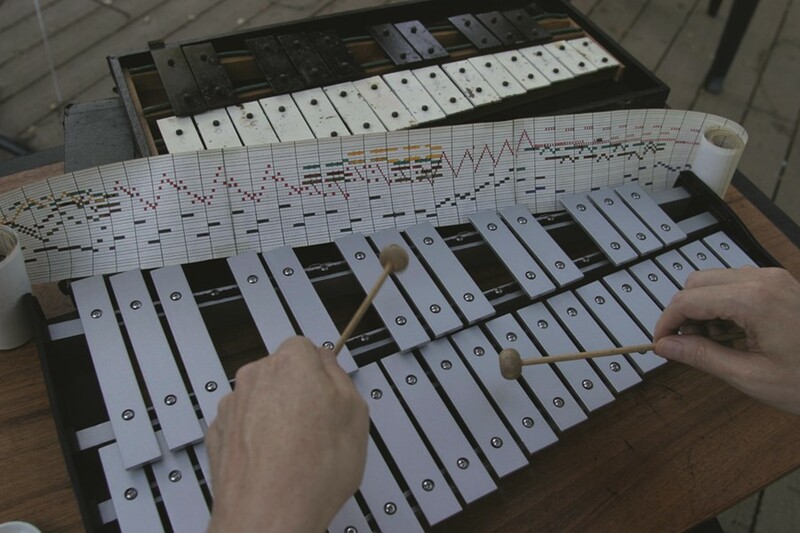 The note that was currently being played appeared to be a single note head moving only vertically – not horizontally. It reminded me of watching a fishing bob riding up and down on the surface of an ocean of surrounding notes. Then the pattern of notes started jumping wildly. I was amazed to find that my eyes were still able to track the motion. At that point, I put down the score, stopped the recording, took off the headphones, and said to a friend who was with me, ‘I’m afraid that what I’m doing may be damaging my eyes.’ He said he thought that was unlikely, so I went back to listening and watching.